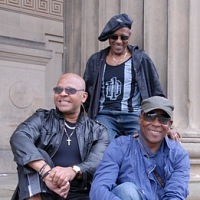 British soul/pop group formed in 1970 and comprised of key members, Eddie Amoo, Chris Amoo and Dave Smith. Familiar hits include "You To Me Are Everything", "Can't Get By Without You", "Can You Feel The Force?" and "Whenever You Want My Love".